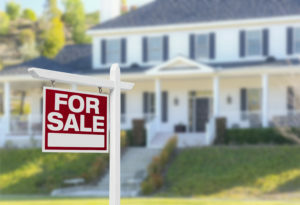 With the Feds increasing interest rates already 3 times the last 12 months (and a possible 4th predicted); it’s understandable that people could be hesitant to make any real estate moves. Mortgage rates tend to mirror interest rates, but with some caveats. Mortgage rates are based on the current market, your financial status and the property you are trying to purchase. Mortgage rates hit a 7-year high in November, 2018 at just under 5% as reported by Freddy Mac, but as of February the rates have lowered to the mid to low 4% range. These rates are still incredible if you consider the historic high of 18% in 1981. Housing markets and volatility will vary depending on where you live. Thankfully, Portland is still a growing and sought after destination which helps keep our market volatility more steady. So why would selling in 2019 be better than 2020 or 2021? Our housing market has a cycle of its own that is influenced by the economy. Typically the cycle is somewhere between 10-16 years. Some experts are predicting the next recession happening in 2020 or 2021. That prediction would be in line with our typical cycle length since the last housing “crash” was in 2008. Do you have plans to make a move in the next 3 years? Do you have considerable equity in your home? The higher your down payment on a new home, the better your interest rate. New home buyers are entering the market. Based on a recent Trulia survey, millennials are the largest buying group with 1 out of 5 reporting they will buy a home in the next 12 months. If you are getting close to retirement and the equity in your home is a big part of your financial picture, then waiting out the next economic cycle might not be the best plan. You haven’t owned your current home for long enough to build up enough equity. If you’ve owned for less than 2 years, then paying capital gains on your profit is a deterrent as well. You are happy with your home and believe it can meet your needs for the next 5 years or more, then staying put and waiting until the next cycle is probably in your best interest. I created Inhabit to be a trusted resource for guiding people on how to get the most out of their largest and most important asset. Our overarching goal is to be a trusted advisor and build relationships that withstand all the market ups and downs. If you want help assessing what you should do to get the most out of your real estate investment, I’m just a phone call away.